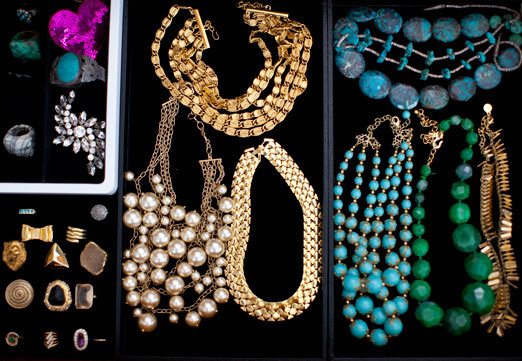 this is where most of my jewelry is kept, and it looks like a bomb exploded 95% of the time (it also gives you an idea of what my closet was like prior to this). 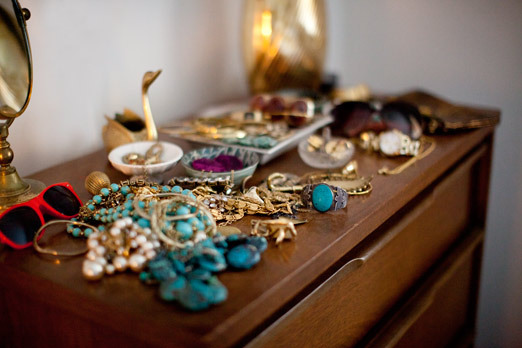 i really need a solution, but i feel like anything that tucks everything away too neatly won’t do. 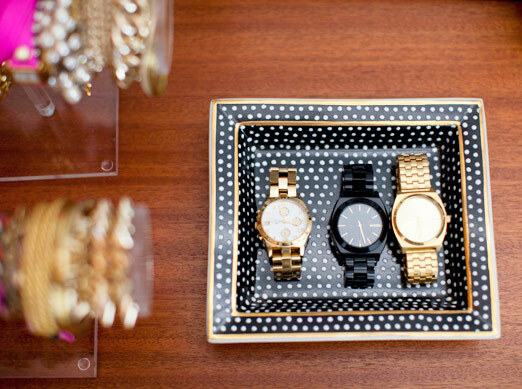 with me and accessories, out of sight = out of mind. 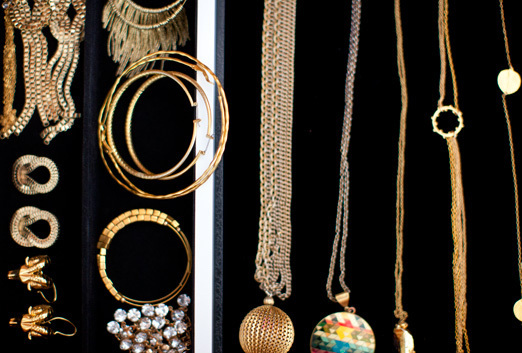 any suggestions friends? 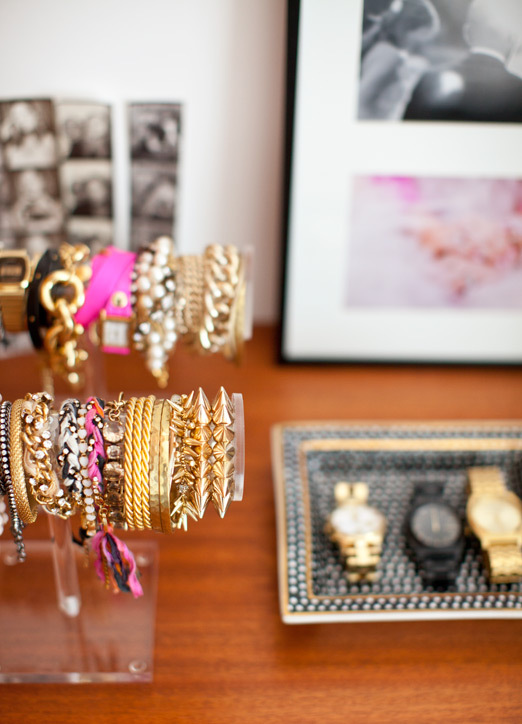 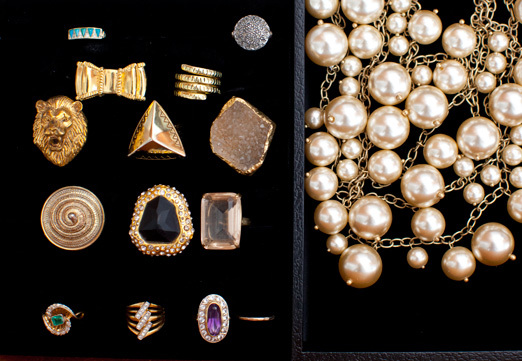 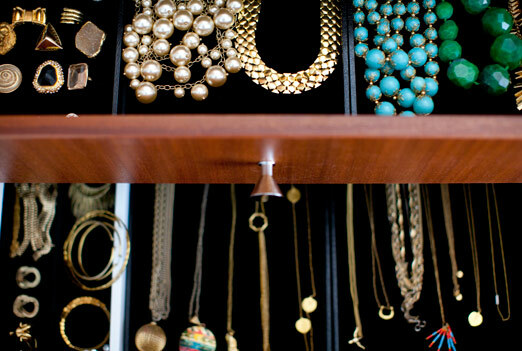 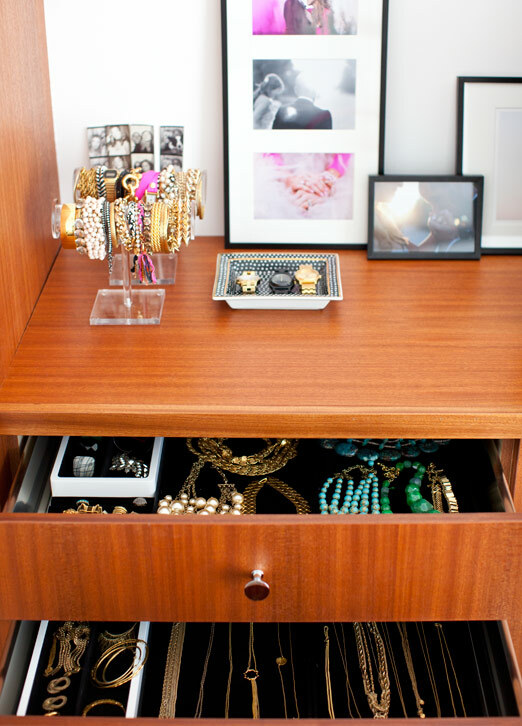 how do you keep your jewelry organized and accessible?